It’s easy enough to embrace 3D printing technology when it’s doing something cool like drawing stuff in mid-air or making adorable prosthetic limbs for injured animals…but eating 3D printed food? That seems a little out there for most people. 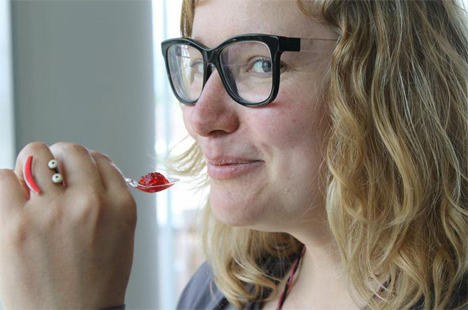 A company called Dovetailed aims to make it much more mainstream by putting 3D printed fruits into kitchens around the world. 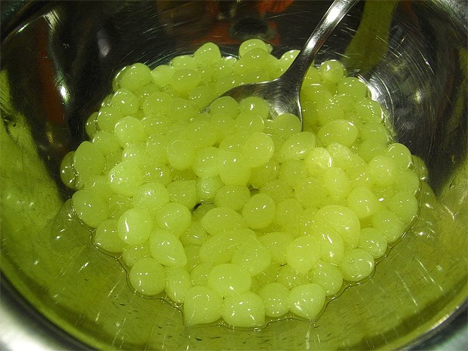 The company’s 3D fruit printer actually uses technology that has been around for quite a while: spherification. The process, invented in the 1950s, basically takes regular liquids and encloses them in an edible outer membrane. Dovetailed has been working with Microsoft to create their proprietary 3D printer, which they unveiled at the Tech Food Hack of 2014 in Cambridge, UK. 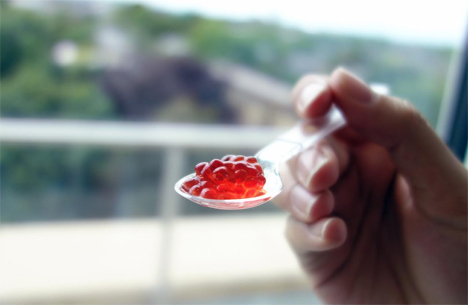 According to Dovetailed, the machine can print any real-life fruit – the flavor, size and shape of the “fruits” are fully customizable. This means that you can not only print apples and bananas, but customize your fruit flavors to create something completely new. As cool as the idea is, the process begs the question: how healthy can these fruit creations really be if they’re made of juice, missing the fiber and vital nutrients of real, fresh, natural fruit? See more in New Materials or under Science. May, 2014.